My nephew’s why captures a uniquely human experience. I doubt most animals wake up, naked and cold, wondering why things are the way they are. The rabbit may wish that grass were taller and birds were slower, but I doubt it. For the most part, nature adapts or dies. Humans generally do the same. We go through our lives, absorbed in the tasks at hand, trying to make a living, provide for our families, etc. But now and then, many of us do wonder. We ask why things are the way they are. I think the German philosopher Immanuel Kant captured this why quite well. I once saw an interview with a philosopher who said that one of Kant’s greatest additions to philosophy, of many, was his distinction between the world of the is and the world of the ought. The world of the is is a world of facts–essentially science and academic inquiry. When we ask for the truth, we’re asking for this. The world of the ought is the moral sphere, a world of ideas. Simply put, it’s the world as it ought to be, which is different for most people from how it is. It’s the world Marx imagined when he wrote the Communist Manifesto, some idealized projection of things that we imagine would be more compassionate, equitable, logical, etc. Life would be simpler if we could bring the two together, but we can’t. If we think the world is how it ought to be, then we don’t think anything needs improving. But if we ignore the moral question, thinking things only are how they are, we slip into relativism, and again, the idea of progress or improvement falls apart. Having confined his life so that he could act without strain according to his ideal, Kant devoted himself to scholarship, entirely governed by congenial routines. The little professor at Königsberg has thus become the type of the modern philosopher: bounded in a nutshell and counting himself King of infinite space. In our modern age of social media, fast-paced information, and urgent social issues, the urge to make the world as it ought to be outpaces Kant’s constrained ideals. We want to act. But Kant’s idea remains relevant. A more urgent, eloquent voice, perhaps, is Albert Camus. Camus, a French writer and intellectual who lived from 1913-1960, is best known for his idea of the absurd, captured in his most famous works: The Stranger, The Myth of of Sysiphus, and The Plague. For Camus, “the absurd” is a confrontation between our human desire for unity and sense in a chaotic, senseless universe.We don’t want to die, but nature forces us. Likewise, we find it unfair when disasters kill thousands of innocent people. We want to change these things, but can’t. The human condition, for Camus, is this constant tension. In his novel The Plague, one of Camus’ characters says, “I have realized we all have plague, and I have lost my peace.” He captures a problem with the present world. More than ever, our lives interconnect. We by clothes and produce from distant corners, our words span continents in an instant, and we’re more aware of present problems. We now must ask ourselves questions that Kant and Camus never did. Should I buy Free Trade coffee knowing what companies do to the rainforest? Should I buy American-made clothes knowing about sweatshops? Or most troubling of all, will it make a difference? And unlike Kant, we can’t simply enclose ourselves in a nut shell. Even doing nothing is itself an action. So what do we do? Rieux could feel under his hand the gnarled, weather-worn visage of the rocks, and a strange happiness possessed him. Turning to Tarrou, he caught a glimpse on his friend’s face of the same happiness that forgot nothing, not even murder. Perhaps we must change our definition of happiness from mere pleasure or satiation to the fragile realization Rieux sees in Tarrou: happiness that forgets nothing, not even murder. We may want to escape the suffering of our world altogether, or hope that in some distant day, it will fall away. For me, that doesn’t work. Instead, I smile because I know that despite the pain, there is so much in life worth living for, even celebrating. Interesting. I draw a parallel between Kant’s regulative idea and Camus’ recognition of the revolt. Both look at purpose and conclude that even in a world without purpose, one should strive as if there were. Definitely. 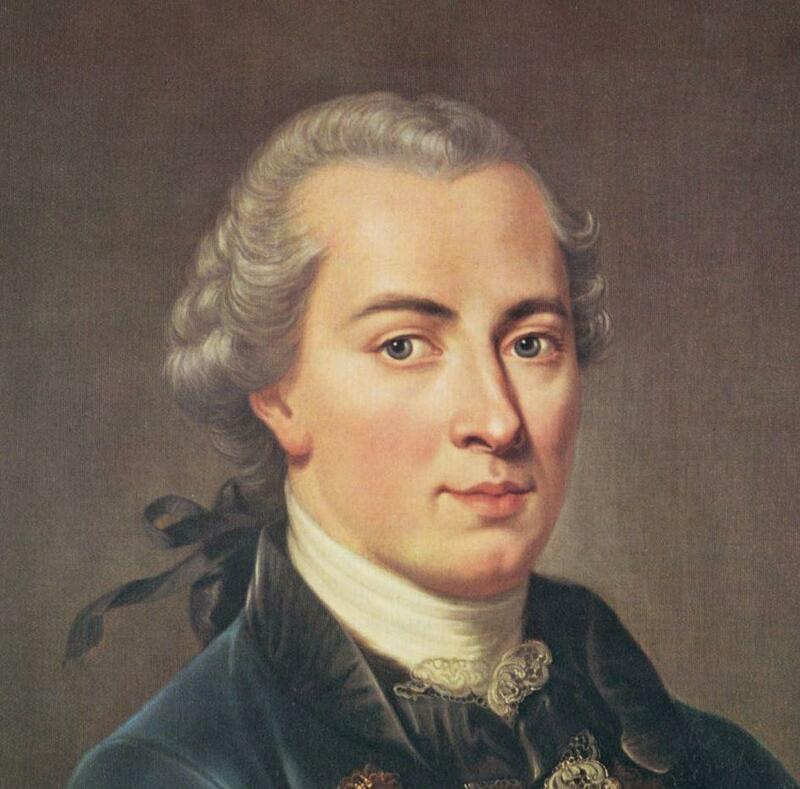 As I see it, Kant exemplifies the Enlightenment and Camus exemplifies the anxiety about it. Post-modernism is the questioning of both.